I remember an unique graphic novel that I read in my teens with avid curiosity, it was talking about things that were outside my understanding, things told clearly between the lines of the main plot in a such creative way that I never ever again read something with such ability and sensitivity for the creative arts. It was inspiring. It had various short stories about beginning and ends before starting the real story, it had a quite rigid 3 by 3 panels for the most of story that only few times was broken majestically, it had different drawing styles (classic drawings, sketching, collage, painting, photography etc. ), it was talking about creativity and their struggle in all the major things of Arts: painting, music, writings, etc… It was a memorable piece of graphic novel. 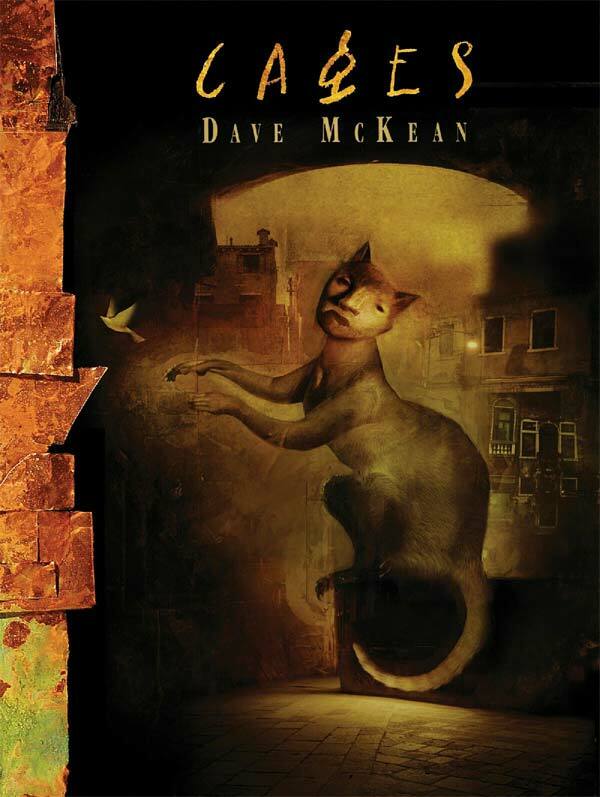 The author of such comic is a famous renowned artist called Dave McKean. I never saw anyone else drawing covers for comics like he did for Sandman and many other things made by the talented writers Neil Gaiman (of which I tend to buy and own quite a bit of both authors). McKean was able to look and to make things outside the canonic boundaries of visual communication, and this was thanks to his curiosity of looking for new ways to express himself in his visual arts. The name of the comic was “Cages”, like the one that we feel ourself in when we struggle to be creative, or the other ones made by other people that wants our deliverables in very short span of time losing so our creativity along the way one piece at time. Only now years later after being a designer I finally start to really understand his work in all its flavour. I even love the plurality in which the main story is told on various levels, each of the personal drama of character lives, the silent story told by the visual graphics alone, by what is not told but lay in between the lines of text and drawings. It make me think a lot about the art of storytelling, on how something can have multiple way of reading it and understanding it. Thinking about it I quickly realised that everything in life is imbued by stories that are waiting to be told. We all tell stories every day. It’s one of the most natural ways to share information, and it’s as old as the human race. Stories are what lead us ahead in to the future by the power of curiosity, by the desire to unveil meaningful lessons during our path of growing and learning, even when we struggle. Like life, I believe that websites have the same tales to be spoken and to be given voice, as comics become mature and meaningful as graphic novels, so website have this opportunity to become incredible entertaining experiences other media can be in their unique way. There is another parallel in behaviours that I find quite interesting between the web and people: when we access website we are trying to understand what is website is about, what can do for us and if it is really helpful to us; the same happen when we meet a new person, we investigate who is the person is, if we feel related to that person and we judge if that person has made an interesting impression on us and if we’ll be in contact. We do relate to people by telling or listening to their stories, and I believe that website can be told and heard in the same way, rising a more engaging interest that a normal average website. Stories are a real useful way to help people remember, to persuade and to entertain. With this post I am promising to myself that I’ll personally try to make my own websites (and life) more engaging, more story driven and, I hope, to give them a soul. I want to really open, as McKean did before, the cages that holds my creativity. I am ready to cross the lines that will lead to uncharted places, directions: Here be dragons. 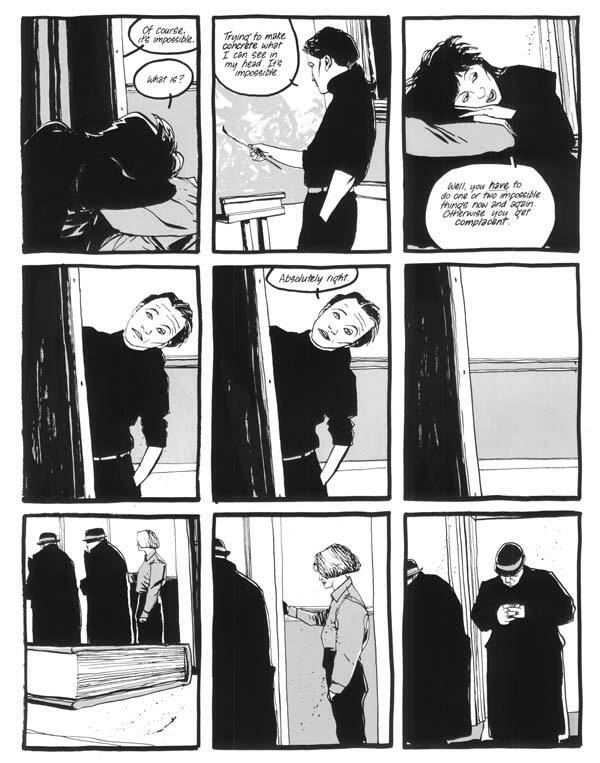 I thanks immensely Dave McKean to let me use some of the panels from (in my humble opinion) his truly master work. It is really an honour! Your purchase it will help supporting my avid love for reading, the author that I admire and a company that made reading more price accessible. I only vouch for things that I believe great and must-buy.